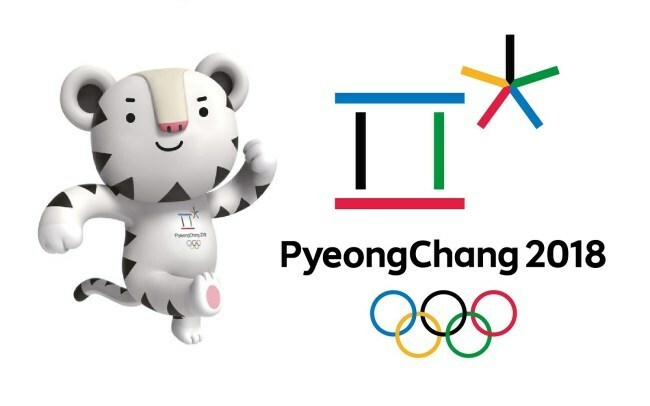 Public transportation in the Olympic cities PyeongChang and Gangneung will be free of charge during the games. The organizing committee for the PyeongChang 2018 Olympic Winter Games and Paralympic Games said there will be 700 shuttle buses for 27 routes throughout the Olympics period. Passengers without Olympic tickets can also ride the buses for free. The Gyeonggang line KTX trains to the region, there will be a total of 51 trains a day to Gangneung at 20-minute intervals. There are 16 trains a day from Incheon to Gangneung, and 35 from Seoul to Gangneung. Between the day after the opening to the day before the closing -- Feb. 10 to 24 -- the last train to Seoul’s Cheongnyangni will depart from Gangneung station at 1 a.m., and from Jinbu station at 1:24 a.m. 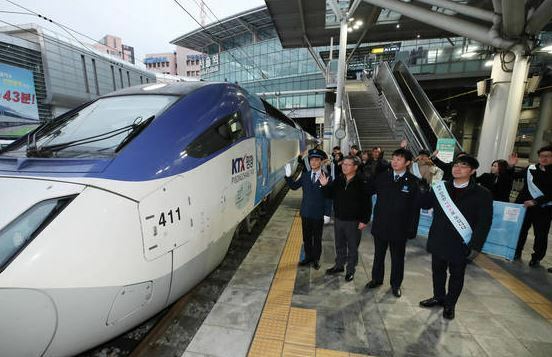 The Gyeonggang line opened on Dec. 22, shortening the trip from Incheon Airport to Gangneung to a little over 2 hours. From Seoul station to Gangneung, the travel time is a little over 1 1/2 hours. A total of 700 daily shuttle buses will operate for free during the Olympic period to carry the Olympic-goers from the train and bus stations to the game stadiums. Of the buses, 44 will accommodate disabled people. There will also be 99 free shuttles between the Olympic cities and the neighboring Sokcho, Goseong, Yangyang, Donghae, Samcheok, Heongseong and Wonju. The buses will run from 8 a.m. to 2 a.m. the next day. For those who will bring their own car, there are transfer parking lots where the free shuttle buses stop so that the travelers can come from a different city and change to the internal public transportation of the Olympic cities. For example, those going to watch bobsleigh, luge and skeleton games at the Olympic Sliding Centre can park at the Daegwallyeong parking lot and change to a shuttle. There are a total of seven such parking lots -- four in PyeongChang and Jeongseon, and three in Gangneung. The total capacity is 11,636 for cars and 664 for buses. These venues will operate from 6 a.m. to 11 p.m. but on the days with late-night games, the operation time will extend to 2 a.m. the next day. Between Feb. 10 and 25, when the games take place, the cars with an even number as the last number on their license plate can use the roads on an even-numbered day and vice versa for odd number plates on an odd-numbered day, meaning each car can only be taken out on alternate days. For PyeongChang, the drivers can volunteer to follow the guidelines, but in Gangneung, the rule will be strictly applied to everyone. Tourists can be fined if they drive their cars on an unmatching day, even if they are not driving to see the Olympic Games. The Olympic committee has urged those in the host cities to make use of the free public transportation during the period, rather than personal vehicles. For the Olympic athletes and the staff, starting from Feb. 1 to 28, an exclusive Olympic lane will be made available on the Yeongdong Expressway between Gangneung and Daegwallyeong Interchange, and on local road line 456 between Daegwallyeong Interchange and Woljeong Samgeori and National Highway line 6 between Woljeong Samgeori and Taegi Samgeori. Samgeori means three-way intersection. The roads will be marked with the Olympic rings. The PyeongChang organizing committee will launch a “Go PyeongChang” transportation application for the Olympic-goers. The app will help the users make transportation reservations and search for the best route to the game venues and the bus numbers and times.